When singer-songwriter-producer-and-arranger Donny Hathaway fell out of a New York City hotel window in January of 1979, he was an artist simply trying to re-establish himself. Hathaway peaked artistically much earlier in the decade, his voice muted by a debilitating mental illness and a fickle recording industry, that has never really been all that interested in Black artists being so introspective and thoughtful. Yet the music that Hathaway created—drawing on the uniquely American traditions of Rhythm & Blues, Soul music, Jazz, Gospel, the Blues and even marching bands (all with a classical flair)—continues to resonate 35 years after his death. As an artist, Hathaway actively looked back to Black musical traditions—you hear references in his music to pianists Fats Waller and James P. Johnson to Count Basie to Mahalia Jackson—while spiritually, he looked inward to the conflicts that were tearing up his very soul. For Hathaway, these were not simply gestures; it was so much more than a strategic sampling of the sonic archive of Blackness. The score that Hathaway did for Come Back Charleston Blue (1973); for example, evinced Hathaway’s deep affection and affinity for Big Band Jazz. Tracks like “Thank-You Master (for my Soul),” “Giving Up” and his stellar cover of Leon Russell’s “A Song for You” draw deep from dirge-like Blues and Gospel traditions. Tracks like “Voices Inside (Everything is Everything)” and “Valdez in the Country” were as solidly in the pocket as anything being produced by James Brown’s band at the time. The songs that Hathaway covered also drew far and wide: Nina Simone’s “Young, Gifted and Black,” George Clinton’s obscure “She is My Lady,” Billy Preston’s “Little Girl,” Ray Charles “I Believe to My Soul” and even John Lennon’s “Jealous Guy.” Hathaway offered such a uniquely personal take on the music of others that it is not surprising that some believe, for example, that “A Song for You”—featured in one of Hathaway’s most classic live recordings—was his own composition. It is telling though, that for much of White America, Donny Hathaway was simply the voice who sang (and composed) the theme to Bea Arthur’s sitcom Maude and recorded a fairly popular Christmas song. It says a great deal about how Black genius is valued in America that what is arguably Hathaway’s most well known recording and composition—“This Christmas”—is a throw-away in the context of his oeuvre. Hathaway likely could not dismiss the fact that an artist like Elton John, who was arguably his closet artistic peer in the early 1970s and who, with a close listening of his catalogue, seemed just as familiar with pianists like Waller and Johnson—could achieve a level of fame that Hathaway neither wanted, but also knew, was not available him. With the exception of three singles with Roberta Flack, none of Hathaway’s singles ever cracked the Top-Pop-40. Surprisingly, Hathaway’s highest charting single as a solo artist on the Soul/R&B charts was his cover of J.R. Bailey’s “Love, Love, Love,” which peaked at 16. Though it’s easy to think of Hathaway in the tradition of the self-contained artist, who often accompanied himself on piano and keyboard, some of his most memorable recordings were the product his need for collaboration. Hathaway’s duets with Flack, notably “Where is the Love?” and “The Closer I Get To You,” were his most commercially successful singles. Not surprisingly it was the possibility of working with Flack that brought Hathaway back to the studio shortly before his death—the duo recorded three tracks including, the Stevie Wonder penned “You are My Heaven,” that eventually appeared on Roberta Flack featuring Donny Hathaway (1980). Luther Vandross provided backing vocals on the project. Donny Hathaway’s music demanded an intimacy that neither the recording industry, and quite frankly, segments of Black America, seemed to value. Hathaway found that intimacy collaborating with peers in the studio and on stage, like Ric Powell, Leroy Hutson, Cornell Dupree, Phillip Upchurch, Willie Weeks and most famously Flack; he found that intimacy in the call-and-response with audiences that marked so many of his live performances. Indeed Hathaway’s label, under the helm of the late Jerry Wexler, intuitively understood Hathaway’s need for that connection. As exemplified by the recent Hathaway collection Never My Love: The Anthology, no Black artist of the era was better documented under live conditions, with the exception of Miles Davis. Hathaway’s live performance of “Young, Gifted and Black,” originally released on In Performance (1980), is a testament to the energy Hathaway drew from live performances. The call-and-response with the audience—from whom you hear every laugh, smile, chuckle and hallelujah, in the tradition of Julian “Cannonball” Adderley’s great live sides—is as priceless as any note that Hathaway sings. 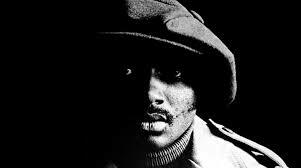 In an era of AOR—album oriented Rock—Donny Hathaway, like his peer Isaac Hayes was an example of album oriented Soul. The very intimacy that Hathaway desired, his fans also desired, often in the quiet of their own homes. It is one of those moments of intimacy that is captured in the film Roll Bounce, as Chi McBride’s character listens to Hathaway’s “For All We Know”—a solo track from his 1972 duet album with Flack—while again mourning his dead wife. In the film, it is the album cover of Hathaway’s Extension of a Man (1973) that appears, as opposed to the Flack and Hathaway album cover. Extension of a Man was Hathaway’s last full studio recording and it opens with a five-and-half minute long instrumental "I Love the Lord; He Heard My Cry (Parts I & II)," which can only be described as “chamber soul”—to echo a phrase coined by musician Shana Tucker. At the time of the recording, as he told New York’s WBLS-FM, Hathaway was studying modern composition with label mate and college professor the late Yusef Lateef. The song served as an extended introduction to, perhaps, Hathaway’s most important recording, “Someday We’ll All be Free.” Many of the remaining tracks on the album were drawn from much earlier studio sessions. We can only speculate why Hathaway was not able to complete the vision that he only hinted at on Extension of a Man. Sadly, we probably already know that he might not have been warmly embraced had he been able to transcend his health issues and actually completed his vision. Like the griot forced to live in exile, this is the price paid for those artists, who know our demons and were never afraid to remind us of them. Mark Anthony Neal is a professor of African and African-American studies at Duke University and a fellow at the Hiphop Archive and Research Institute at Harvard University’s Hutchins Center for African and African American Research. He is the author of several books, including Looking for Leroy: Illegible Black Masculinities. He is also host of the weekly webcast Left of Black. Follow him on Twitter.